Each year the Perry County Soil & Water Conservation District selects a conservationist of the year. 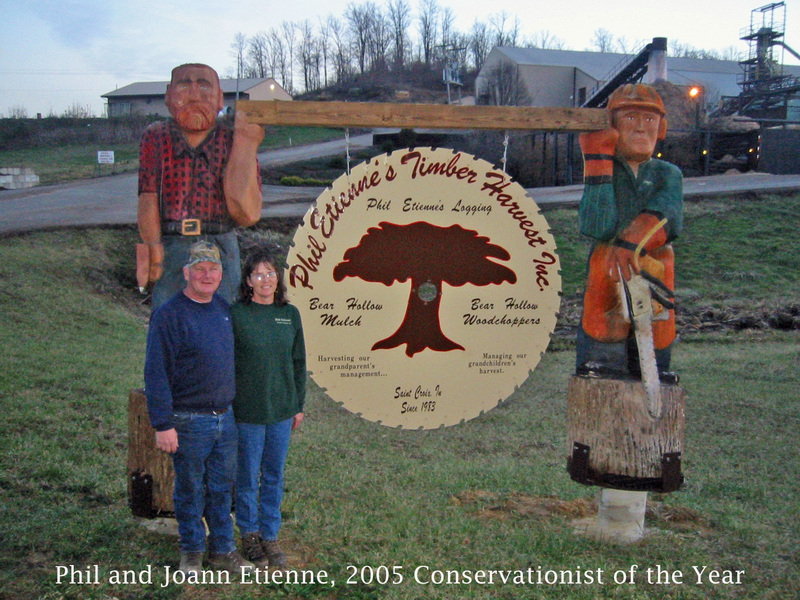 This year they have selected Phil and Joann Etienne of Phil Etienne's Timber Harvest, Inc and Bear Hollow Mulch. The district supervisors selected the Etienne's for their years of timber management practices and efforts for improvement of an abondoned area. The Etienne's have been logging since the 70's and milling since the 80's. The logging division of Phil Etienne's Timber Harvest has applied best management practices to timber harvest for its entire history. Special attention is paid to directional felling trees to protect future crop trees, which are trees for future lumber. Erosion control structures called Water Bars recommended by the state are installed on slopes where erosion is likely to occur. These are actually mounds of soil which are built into logging roads to direct water off the skid trails and direct it into the leaf litter or the forest floor. Skid trails and log yards are constructed in such a manner as to be environmentally sound and also to accommodate the long term management goals of the woodlot owner. Operations are completed by professional trained loggers and Indiana Sustainable Forestry Card Holders are on all logging sites. In 2001 the Etienne's took on a project which was probably one of the most visual conservation projects to affect Perry County. It was the clean up of an abondoned sawmill site near the Hwy 37 junction, south of I-64 near St. Croix. 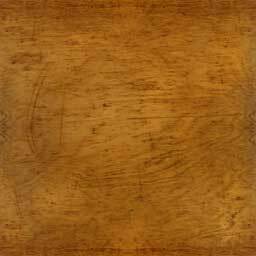 With an estimated cost in excess of $100,000 the abandon acres of wood slabs were ground up and hauled away to be used for fuel wood at a paper company in Hawesville Kentucky. The topsoil with a wood residue mix was removed and placed in a berm (a long narrow mound) to further decompose and to be used again in the future. Rock residue was purchased from a nearby construction project and used to replace the surface. Today the lot is the home to Bear Hollow Mulch, which sells mulch composed of a mix of wood species and is a product direct from freshly manufactured logs. The abandoned buildings have been refurbished and now house Bear Hollow Wood Carvers. The actual sawmill site just south of St. Croix also is very aware of their responsibility to the environment. The whole tree is used and none is wasted. The storm sewers are periodically tested for contaminants. All used oil is burned in furnaces and used to heat the buildings. Fuel is stored in containments. Grass Filter Strips are maintained to protect water quality in the stream that drains the mill area. Joann stated "as we continue to become more conservation minded as a society the team here at Etienne's will continue to do our part to protect the environment and will hold Perry County SWCD Conservationist of the Year as one of our greatest achievments." Congratulations Phil, Joann and the team at Phil Etienne's Sawmill for your accomplishments for conservation of our soil, water and natural resource.